Hi there, my darlings! This afternoon, I'd like to share with you something that, if you have dry, damaged or brittle hair, might just save it this summer! So, if this describes your hair, read on for more about Pravana Nevo Intense Therapy Leave-In that was sent to me by Beauty Care Choices, a retailer carrying a huge selection of beauty products for all your needs! Pravana Nevo products are 100% Vegan. They are 100% gluten free. Their packaging is 100% biodegradable. Nevo Instense Therapy Leave-In Treatment instantly detanges hair, provides deep hydration or equalizes hair porosity. It also protects hair when heat styling, adds shine, eliminates static. IMPRESSIONS : This is a light mist that I was comfortable spraying on ALL over my waist-length hair, even in this scorching heat. 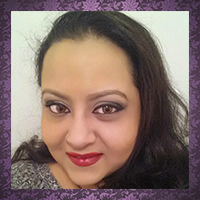 The product absorbs into/dries very quickly and leaves my hair looking so shiny. My hair feels softer too, even if I've skipped the conditioner in the shower! Best part? I love the mild, slightly floral fragrance of this product! The only drawback is that while this product is super hydrating and works wonderfully for split, brittle ends, if your hair tends to get greasy at the roots/crown, this product will exacerbate that. My advice? Spray it on your tips and work it in with your fingers--leave your roots untouched or at best, use a light touch. But wait! 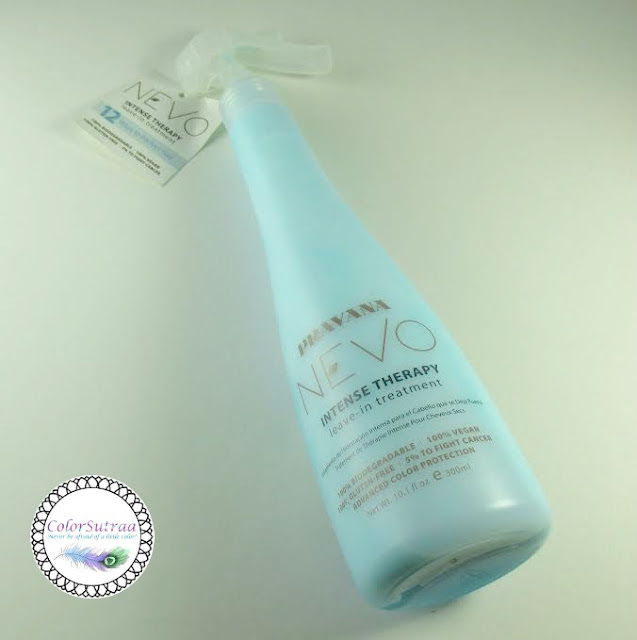 The retailer has generously offered to give away one of the Pravana Nevo Intense Therapy Leave-Inproducts to one of my lucky readers! Just comment below with your email address and I will pick a random winner! ENDS JULY 8TH, 11:59 pm EST. mcelyea.heather@gmail.com - Thanks for the review! That last past is good to know. My hair starts getting greasy before it's even been 24 hours post-wash. My ends are what need help, so thanks for letting us know about treating the roots! I meant part, not past, of course lol. Sam, congratulations! You're our winner! What an awesome way to start my morning! Thank you so much, I emailed my info! Jessj958@gmail.com....I actually need something like this for my split ends. Thanks for the review! SKINNY TEATOX : Miracle or Myth?